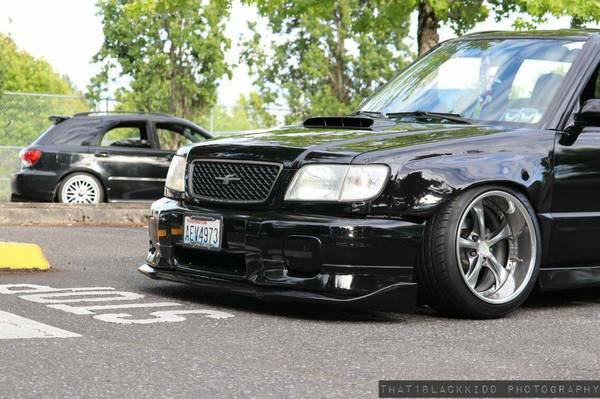 Very unique customized Subaru Forester for sale in Washington State. 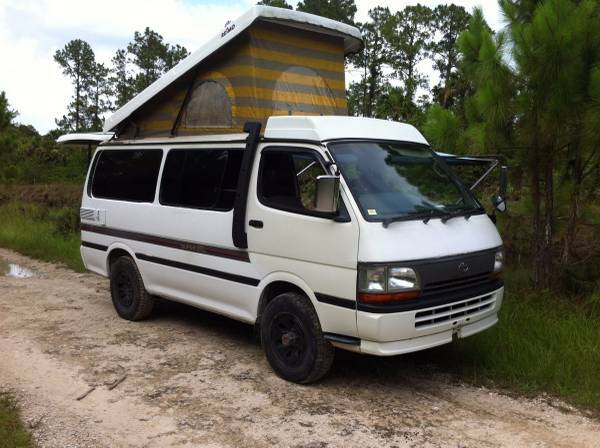 The owner has engine swapped a JDM ej20 engine and added a widebody kit. I'm selling my baby. It's been a long journey but it's time to pursue other hobbies in life. 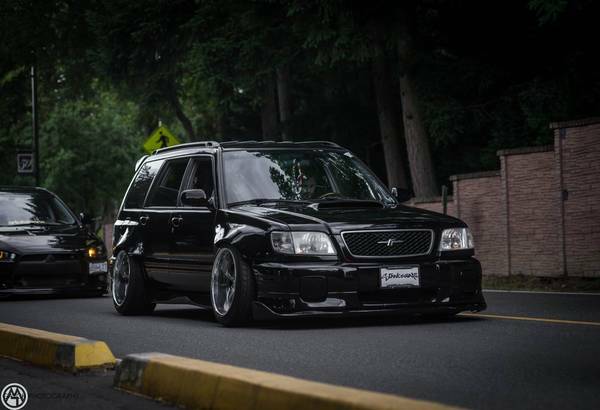 Like the title states it's a 1999 Subaru Forester. Clean title in hand, I am the 2nd owner. 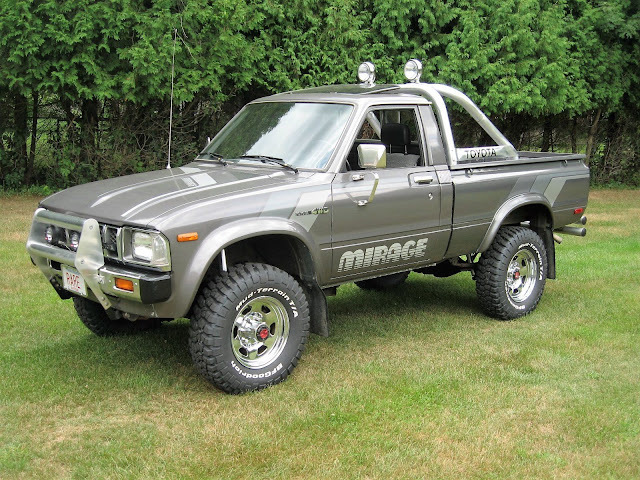 This car is loaded with jdm parts. 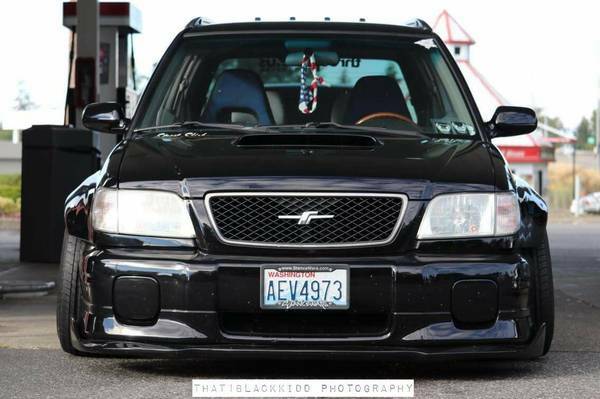 The front end (headlights, hood, turn signals, grill and bumper) came from a jdm STI forester freighted in as a clip. It was from a black forester as well. 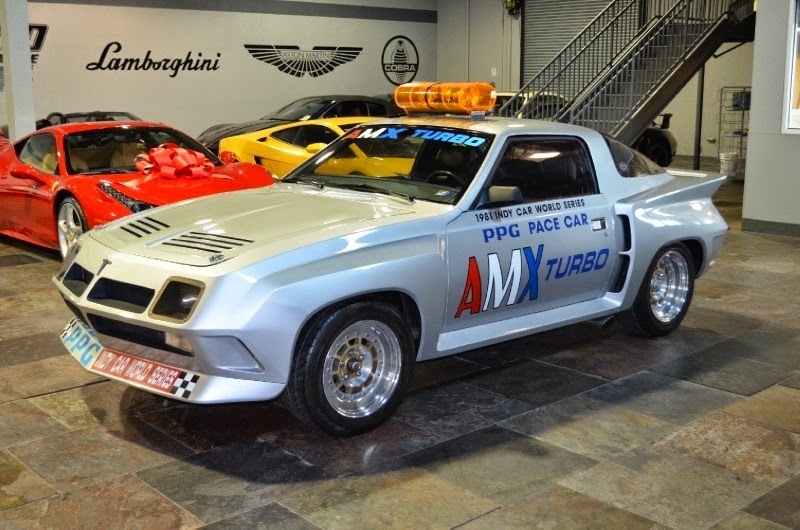 It has the matching rear bumper cover, side skirts, and very rare spoiler as well. 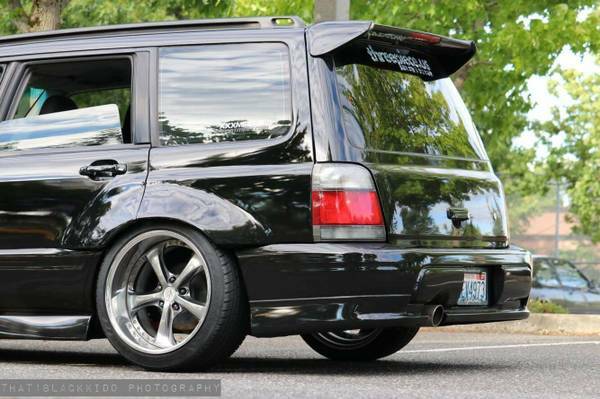 The tai lights are from a jdm 98-00 forester. The front lip is an 06/07 WRX/STI chargespeed replica color matched. The rear wiper and badges were removed and shaved. The rear wiper is a true delete, the wiper switch is even swapped with a newer gen Impreza wiper switch, which eliminates the rear spray and wiper function and adds delay to the front windshield wipers. The car is lowered on BC racing br coilovers. I've put the BC rear camber plates on as well (which don't come standard) ever corner has camber bolts and the rear is set up with a 6 piece trailing arm/ control arm set up for maximum adjustability. There were no sketchy bolt hole lagging techniques here to maximize camber, everything is set up to be adjusted back to square. The car recently had an alignment done and drives very straight. The engine was swapped very recently with a JDM ej20 from Japan. I've put less then 1000 miles since the swap. 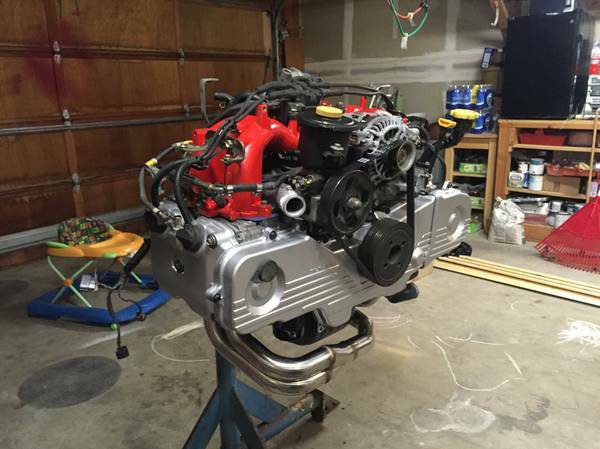 It runs well, and I went through all of the gaskets and wear components before installation. The trans is from a lower mileage wrecked forester, as well as the diff and other running gear. Since I've had the car it's been very well taken care of and until recently was my daily driver. I've replaced all wheel bearings, all brakes, all axles, ball joints, custom new shorter brake lines, water pump, timing, all gaskets under the hood. New hoses, belts, plugs wires. New OE clutch and related parts. New flywheel, new starter, red top optima battery. I've gone through this car front and back back. 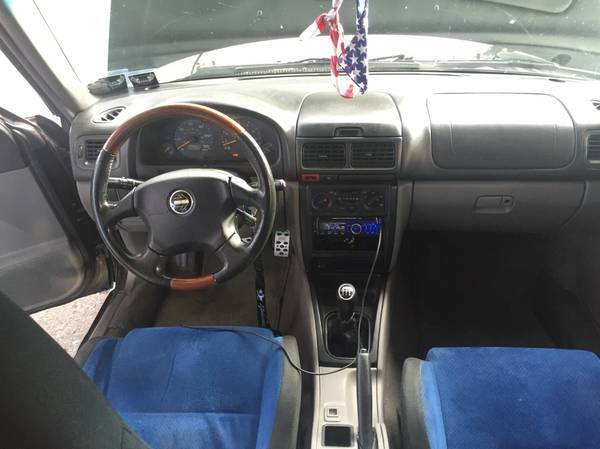 The interior is fairly stock, besides the updated stereo, all new speakers and tweeters, 2005 STI seats, and LL bean/momo steering wheel. I recently finished the custom widebody on it. I started with s13 rocketbunny flares and bolted/trimmed them to place. I wasn't happy with how they looked so I molded them to the body with fiberglass. It's been prepped and repainted the original pearl black and looks incredible. 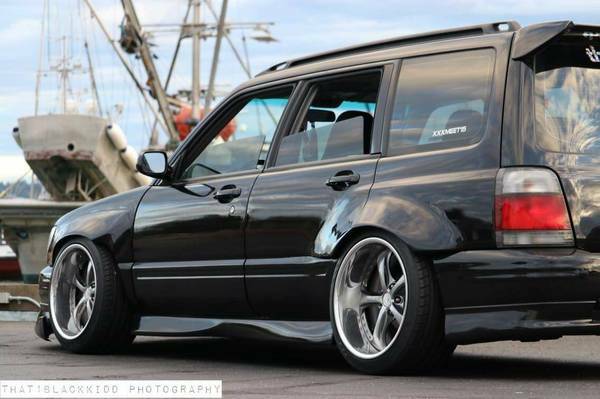 The wheels are work vs-kf's in 18x10.5+7 wrapped in 275/35's. I have the original wheels available as well. Price is negotiable with removal of wheels.